Matthew R. Abel has been a criminal defense lawyer with a special focus on marijuana cases for more than 20 years. Mr. Abel’s Detroit-based law office capably handles marijuana possession, trafficking and distribution cases throughout the state of Michigan. His marijuana-specific practice areas include smuggling issues on the U.S.-Canadian border, asset forfeiture that victimizes clients and questionable drug testing procedures. When he is not passionately advocating for the rights of doctors, patients, cultivators and caregivers, Matthew R. Abel is an equally passionate activist for changes in marijuana laws. 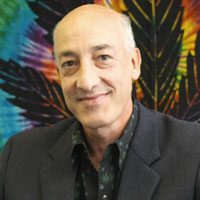 His quest for justice for marijuana defendants led to his participation in the political process as a Green Party candidate. Mr. Abel has stood for public office six times in Michigan. Few lawyers in America are as committed to your rights related to the use of marijuana and to the repeal of marijuana laws criminalizing its usage than Matthew R. Abel. If you have been arrested for medical, recreational or religious use of marijuana, contact his Detroit law office immediately for a consultation.